A few weeks ago we packed up a bunch of meals to be frozen, then thawed and dumped into the slow cooker to simmer all day while we’re at work, ready to eat when we return. 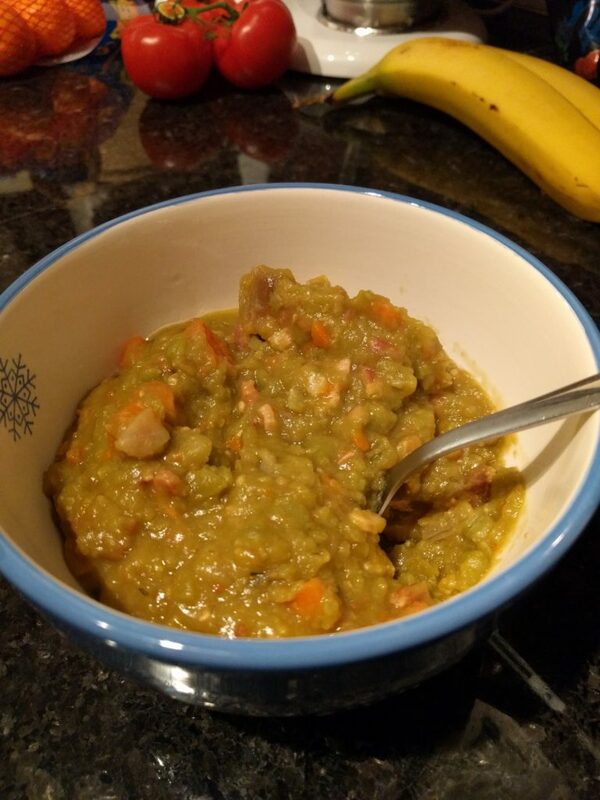 Today’s meal was a delicious Split Pea Soup. When the big day arrives, thaw the frozen bag overnight in the refrigerator. In the morning, add the thawed contents to the slow cooker, plus four cups of chicken or vegetable broth.